Pune: A senior woman doctor hailing from Khadki has been booked under Section 304A (causing death due to negligence) of the Indian Penal Code after the death of a patient due to an alleged adverse reaction. The doctor has been booked over the death of a man in his mid-twenties who was administered an injection but died on account of the negligence of the doctor in handling the adverse effect of the drug administered. The case relates to a patient who was complaining of severe stomach ache and heartburn and was taken to the Joshi Clinic along with his mother after he experienced severe stomachache. The doctor identified the reason for the ache as acidity. The patient was administered an injection to treat the stomach ache. However, immediately after administration of the injection, the patient suffered an adverse reaction to the drug and began frothing from the mouth. The patient’s body turned black, saliva flowed from his mouth and he fainted. It was alleged that despite the seriousness, no immediate steps were taken by the accused doctor in order to restore his deteriorating condition and instead the patient’s mother was told to shift him to a hospital. The patient’s mother rushed him to the Cantonment Hospital in Khadki. The doctors there pronounced the patient as dead . Alleging negligence, the deceased’s mother moved the body to Sassoon hospital for a post mortem and lodged a complaint with the Khadki police against the accused doctor. On the basis of a medical report from Sassoon General Hospital, which held negligence on the part of the doctor, the police have now registered a case and booked the doctor under IPC 304 A. “After the incident happened last year, a case was filed and we sent all the documents to Sassoon Hospital’s expert committee of doctors. The committee recommended a case of negligence be registered against the said doctor. We have booked her accordingly,” sub-inspector (PSI) Chhaya Kamble told HT. “We have registered an FIR under Section 304A (causing death due to negligence) of the Indian Penal Code,” Kamble added. The 68-year old accused doctor has been successfully running the clinic in Khadki for at least ten long years. Injections should be avoided unless real emergency in small clinics. Details of drug not disclosed so cant say if irs really a side effect of it . One bad case can sabotage your career .all good work goes waste ..
Only Doctor kills the patients. Otherwise they are immortals. 1. Sasoon hospitals doctor did not mention what would have been done by the doctor which would not have constituted negligence. 2. If you will refer each and every patient who require small injections like pantocid to big hospitals that you will be blamed for a nexus with corporate hospitals for taking incentives. 3. On one hand you want to promote primary health centers in India which should be able to conduct deliveries and on other hand you want gastritis to be managed only at tertiary level hospitals. 4. It may be something various serious which looked like gastritis to her and avil/ decadaron/effcorlin may not have saved him looking at rapidity of events. If the person in such a situation thought that it is not hypersensitivity and some thing more serious , then there is nothing wrong in it. Which doctor can claim that it was 100% gastritis and 100% hypersensitivity to pantocid which was surely manageable? 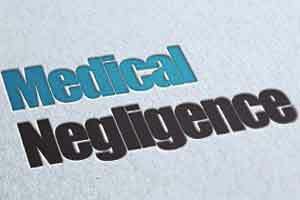 if someone can claim only then it is negligence, else it is a mishap.